Supreme Court on Monday issued notice to Centre and Election Commission Of India in a PIL seeking updation of National Register of Citizens for State of Tripura, and deportation of alleged illegal immigrants. 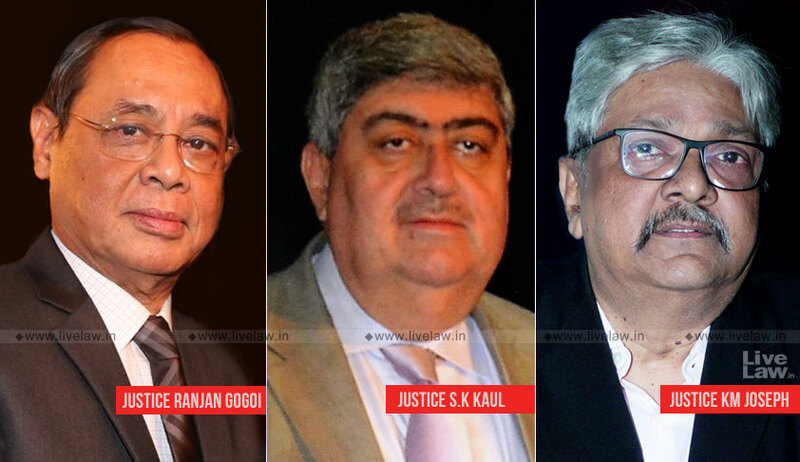 The Bench of Chief Justice Ranjan Gogoi and Justices Sanjay Kishan Kaul and KM Joseph asked the registry to tag the matter with Assam NRC case. The petition filed by Tripura People's Front contend that there has been huge uncontrolled influx of immigrants from Bangaledsh over past five decades, which has changed the demographics of the state. It is stated that Tripura, which was predominantly a tribal state, has become a non tribal state following such influx, making the original inhabitants- Boroks- a minority. "The petitioners submit that it is very necessary to update the NRC in Tripura, detect the illegal immigrants/non-citizens of India, delete them from the voters list and also deport them from India so that the socio-economic, socio-political and socio-cultural equilibrium in Tripura is restored. ", states the petition. The petition seeks to update the National Register of Citizens as with respect to the State of Tripura in terms of Rules 3 and 4 of The Citizenship (Registration of Citizens and Issue of National Identity Cards) Rules, 2003 by taking 19/07/1948 as the cut-off date as provided for in Article 6 of the Constitution of India. It further seeks establishment of effective mechanism for the detection of illegal immigrants in the State, and to set up appropriate numbers of Foreigners Tribunal in terms The Foreigners (Tribunals) Orders,1964 for speedy and effective trial of the persons detected as illegal immigrants in the State. The petition refers to the fact that proceeding to update NRC for the State of Assam was initiated following interventions of Supreme Court in Assam Public Works Vs Union of India case. It is additionally stated in the petition that judicial intervention is necessary for conservation and preservation of the distinct culture and traditions of its indigenous people in furtherance to its commitments given in the several UN International Covenants.